Such huge news for the WNBA came down on Tuesday that doesn’t bode well as the league tries to get more viewers, not lose them. Minnesota prevented Moore from becoming a free agent just last month when they applied the franchise tag on her, yet hours before her announcement, Moore signed a contract with the Lynx. 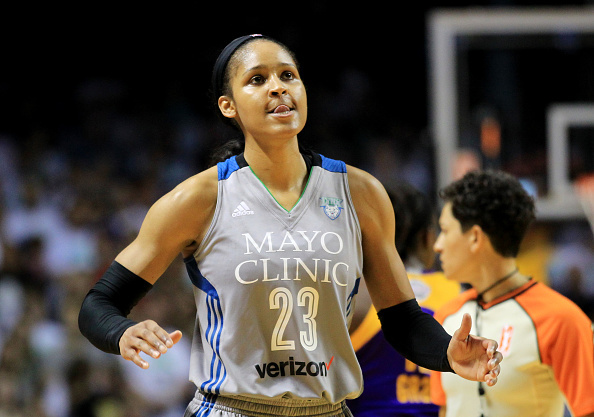 The 29-year-old Moore took some time off in the Winter after the Lynx got dropped out of the playoffs in the 1st-round in 2018. “I will certainly miss the day-to-day relationships with my teammates and basketball family this season, but my no for the 2019 pro season allows me to say yes to my family and faith family like I never have before,” she wrote. The first overall pick in the 2011 draft has gotten the Lynx to the playoffs every single year that she has been there, including six WNBA Finals appearances. Her career averages are 18.4 points, 5.9 rebounds and 3.3 assists.